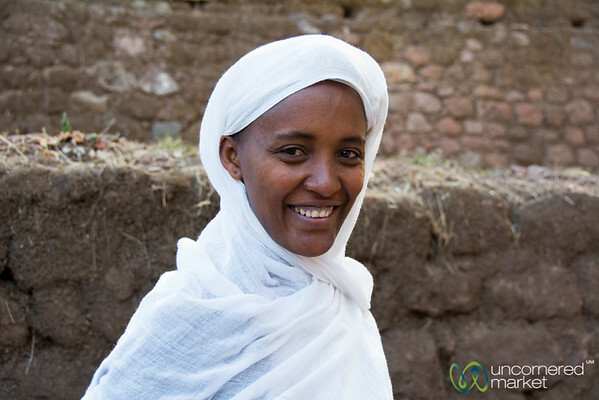 A young mother outside the rock hewn churches of Lalibela, Ethiopia. 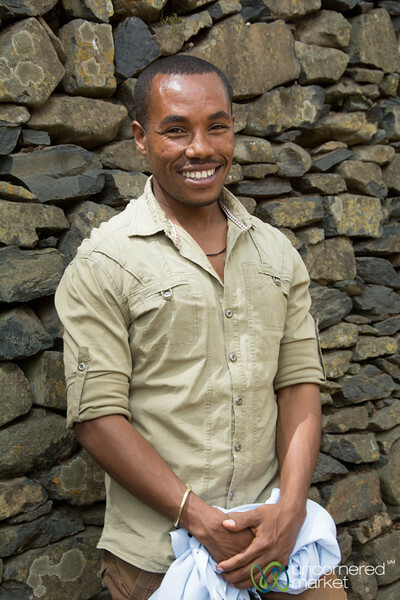 Our guide in the Simien Mountains of northern Ethiopia. 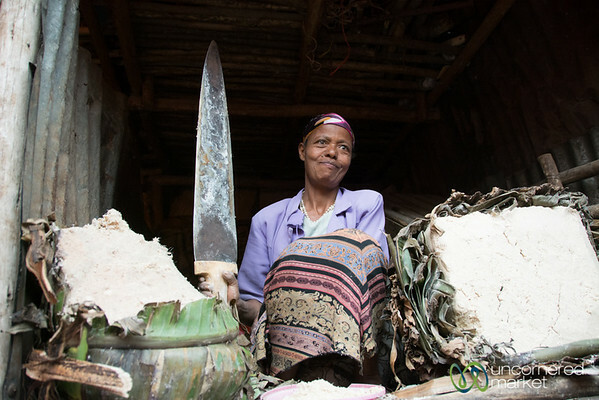 Ethiopian mother and child in a village near Lalibela preparing for a 500-person wedding. 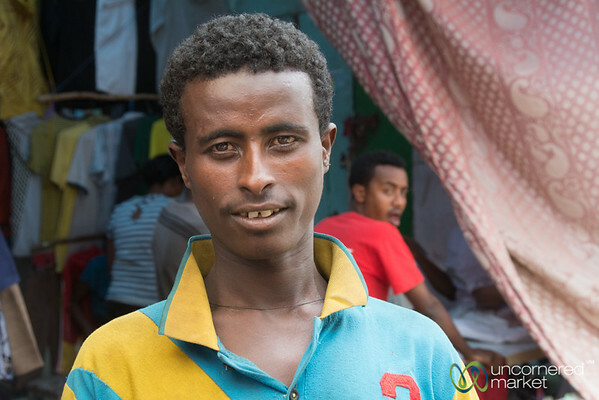 A vendor sells enset (known as the false banana), a southern Ethiopian food, at the Merkato in Addis Ababa, Ethiopia. 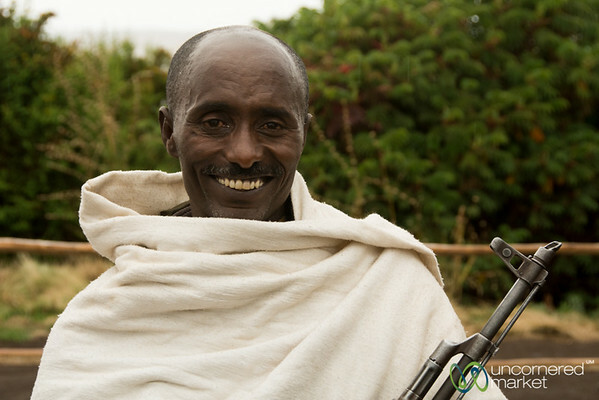 Our scout came with us on our treks through the Simien Mountains with his big gun. 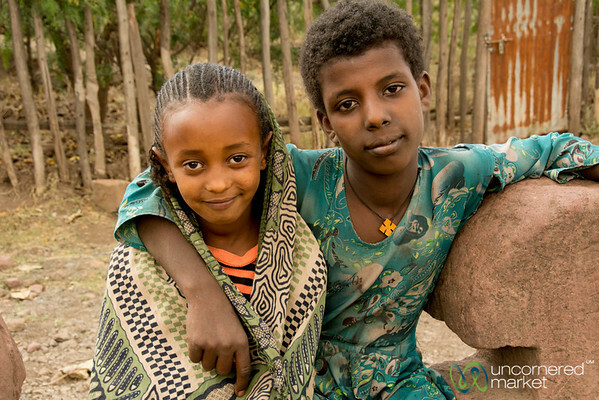 We met a couple of Ethiopian girls on our way out of St. George Church in Lalibela, Ethiopia. 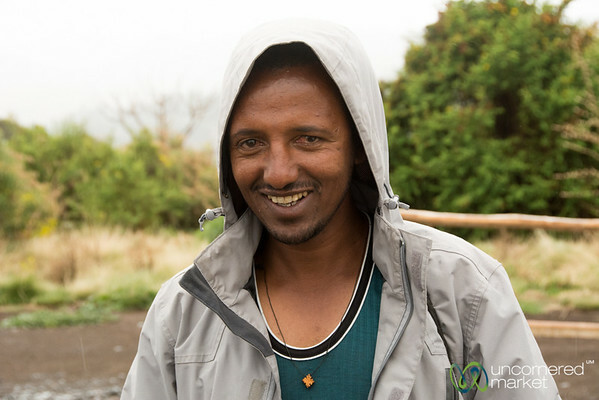 Our trusty guide to take us around all the castles and churches in Gondar, Ethiopia. 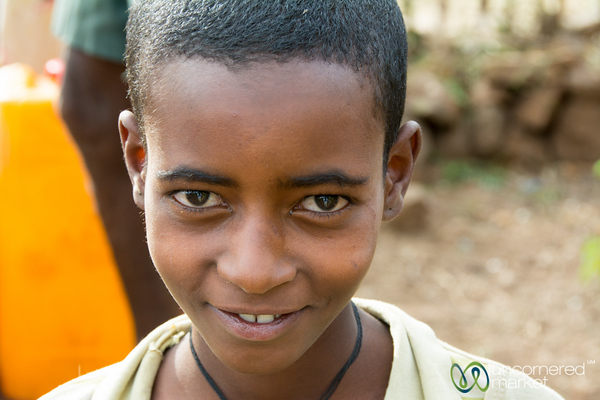 A brother and sister come up to the bus to say hello on a road near Lalibela, Ethiopia. 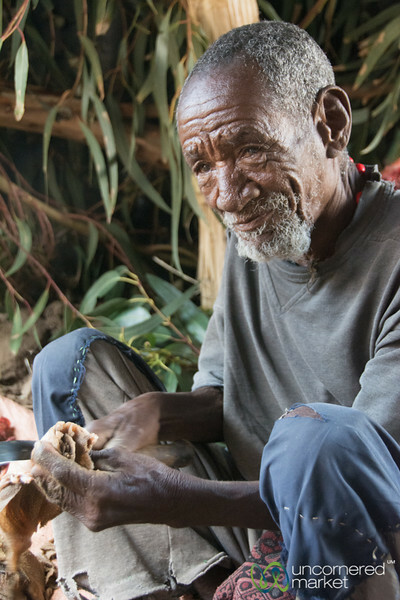 An elder Ethiopian man (supposedly 100 years old) cuts up meat to prepare for a wedding for 500 people in a village near Lalibela, Ethiopia. 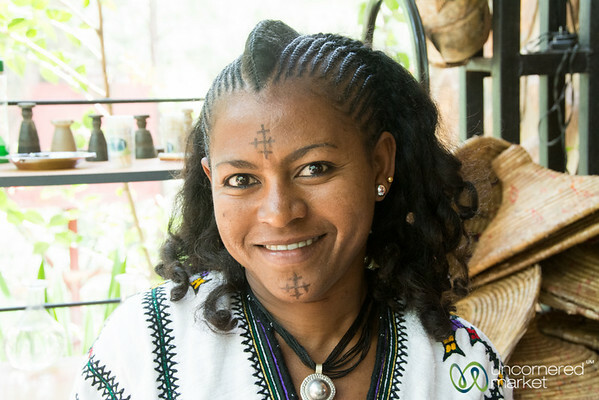 An Ethiopian woman with tatoos of the Ethiopian Orthodox Cross on her face. 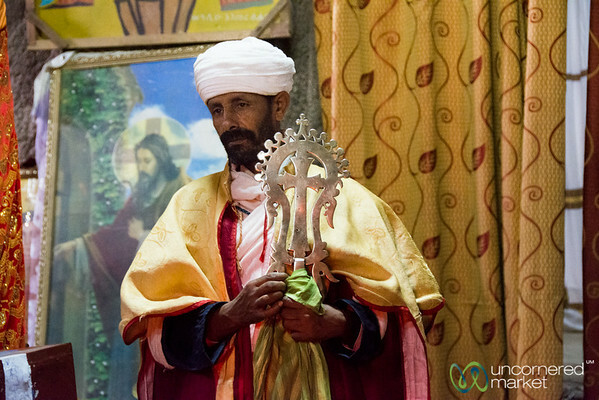 At Four Sisters Restaurant in Gondar, Ethiopia. 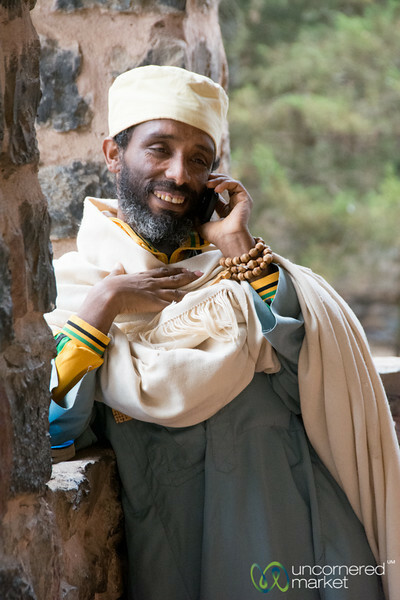 Even Ethiopian Orthodox Priests have important calls they can't miss. 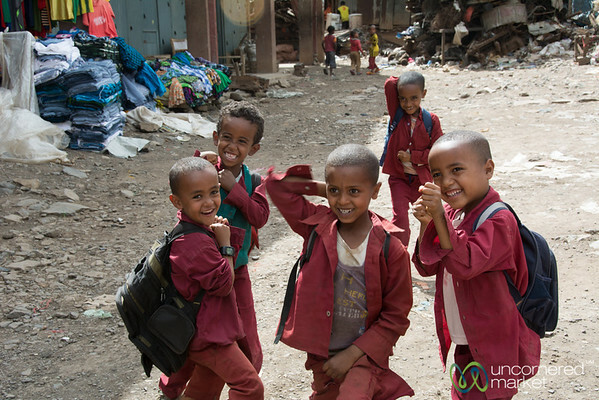 Gondar, Ethiopia. 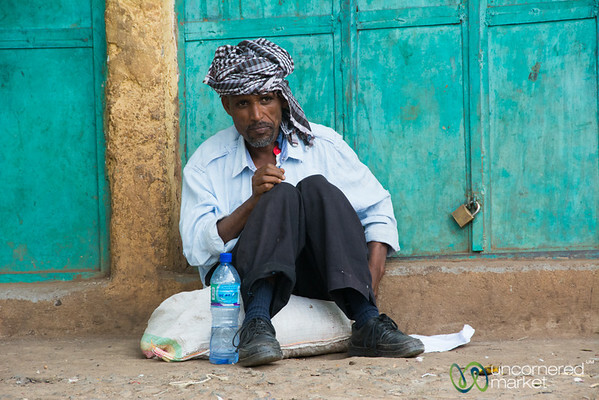 An Ethiopian man we meet at the Gondar market. A group of Ethiopian school kids good around at the Gondar Market. 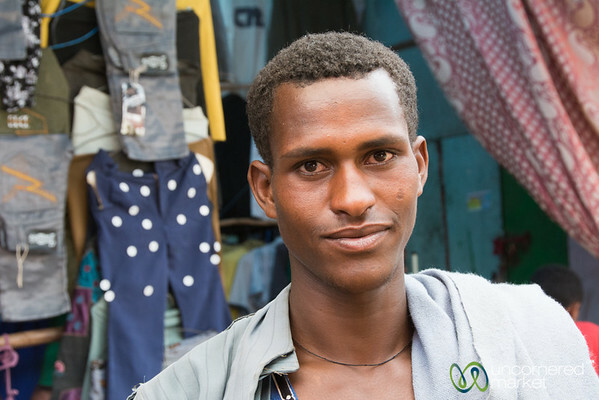 A friendly Ethiopian man at the Gondar Market in Ethiopia. 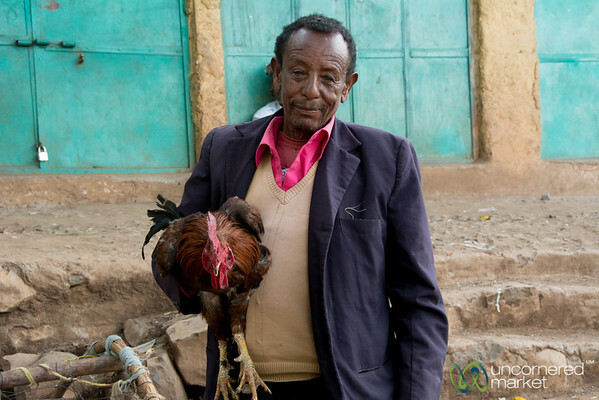 A man and his rooster at the Gondar market in Ethiopia. 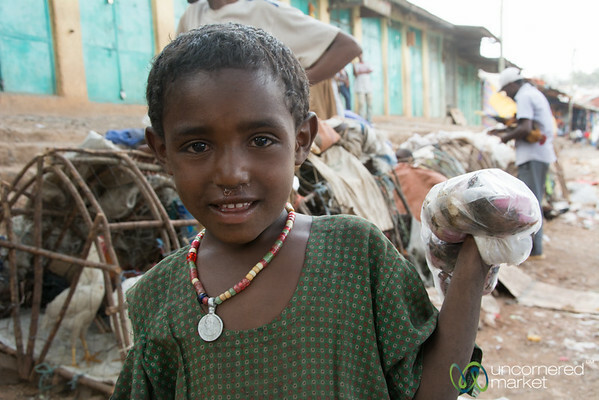 A young girl at the Gondar food market in Ethiopia. 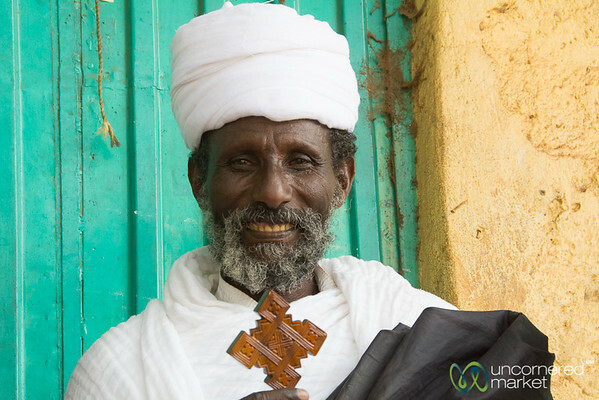 The Ethiopian Orthodox priest with the Lalibela cross at Biete Medhane Alem Church in Lalibela, Ethiopia.